This is a Once in a lifetime find!!! 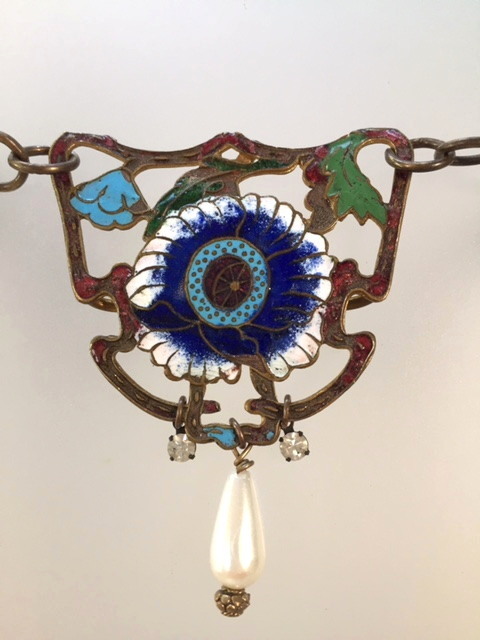 Very rarely do we find a CHATELAINE piece embellished with Gilt Champleve enamel , YUMMY is all I can say!!! I draped this "piece de la resistance" on a complimentary larger rollo link chain, a match made in HEAVEN for this Mesmerizing beauty! It is completed with 2 Rhinestones for a bit of sparkle and a large Pearl drop with a bead cap. 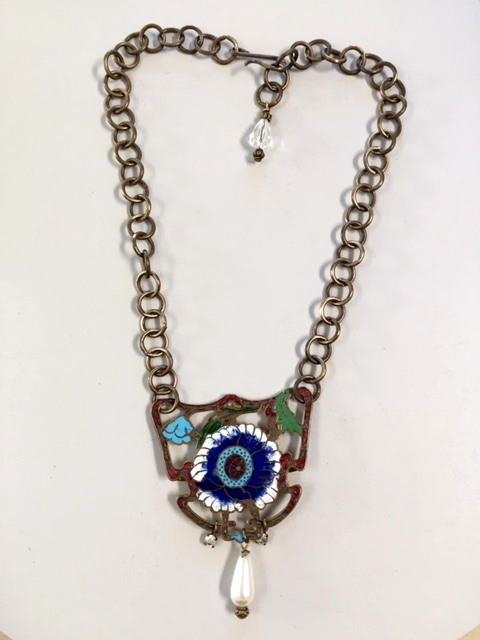 This is an Amazing piece and will be a treasure to own if you value rarity, beauty and exclusivity in your collections! ! The closure has an additional crystal and bronze bead cap.